Merit Scholarships 2017 are offered in 2017 based on the academic achievements. ** Applicants who enroll in any undergraduate science programmes with 6As in UEC or 3As in STPM/ A-level are eligible for a FULL scholarship with a letter of recommendation from the school principal or counselor. All recipients of the Merit Scholarship will be given a tuition fee waiver for the entire duration of their foundation studies or their first year of undergraduate studies. For those embarking on an undergraduate programme, their scholarships are renewable for the subsequent academic years subject to their academic performance. or get the form at our Admissions Office. 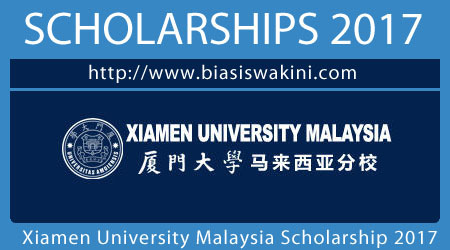 0 Komentar untuk "Xiamen University Malaysia Scholarship 2017"